Good ball. Insight enough. I don't know if there is difference between the chirality of your theory and my theory, but they seems a bit coincident. So can we predict that the inversion of electrical charge has something to do with the inversion of space? If so,and the symbol -t meaningless in physics, why must we use so many anti parameters to describe anti probability wave? One enough, it's space. The anti probability wave of an anti particle flying forward and the probability wave of a particle flying backward are just the same. People can't distinguish between them. In no way did you did that. At most you wrote it down and referred to it as if you stated it with a well stated definition, which you did not. The quality of this forum has sunk with your arrival. It used to be a place to help people understand physics and you've somehow managed to convince the moderators to let you turn it into a place to yap about your new theories. That's the worst thing a person could do to a forum when there exists other forums whose purpose is that. This is a philosophy of physics forum, not a "wrong concept" forum. Its people like you that make people such as myself post less and less until we give up and leave permanently. It isn't my theory, it's standard physics. Google on positron chirality. but they seems a bit coincident. So can we predict that the inversion of electrical charge has something to do with the inversion of space? No. It's to do with frame-dragging, which you hear about in a gravitomagnetic context. If so,and the symbol -t meaningless in physics, why must we use so many anti parameters to describe anti probability wave? One enough, it's space. The anti probability wave of an anti particle flying forward and the probability wave of a particle flying backward are just the same. People can't distinguish between them. Probability waves are point-particle nonsense I'm afraid. We make an electron and a positron out of photons in gamma-gamma pair production. The photon has an E=hf wave nature. An electromagnetic wave nature. We can diffract electrons. They have an electromagnetic wave nature too. Never give up Pete. See http://physicsdetective.com/ for a source of good material you can quote to people like htam9876. I gave your https://arxiv.org/abs/physics/0204044 a nice mention. You flip the chirality. The positron has the opposite chirality to the electron. Yes, but just to be specific, the electron looks and behaves like a positron under a (CPT) transformation, not a spatial one. Last edited by benit13; Jun 26th 2018 at 02:54 AM. 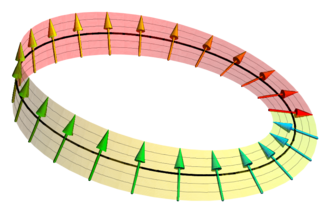 You might think such depictions are misleading, but don’t forget that he electron and the positron have a Dirac's belt "spinor" nature, see mathspages: "In this sense a Möbius strip is reminiscent of spin ½ particles in quantum mechanics, since such particles must be rotated through two complete rotations in order to be restored to their original state". I didn’t actually say spatial reversal. Why couldn't we say that electrical charge has space effect,namely,the inversion of electrical charge has something to do with the inversion of space? I just want to make the point clear for his/her benefit. 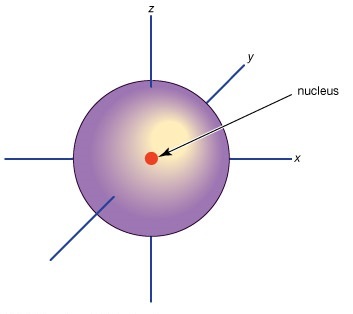 you are not indicating that electrons actually have this kind of geometry. Rather you are generating a geometric way of visualising the mathematical function which models their (spinor) behaviour. That's right. The electron is not some donut. Last edited by Farsight; Jun 26th 2018 at 11:36 AM. Your hypothesis says nothing at all about whether you are talking about any specific kind of particle, and there is no way to introduce chirality in yours. Since you don't seem to realize this (and other flaws in your argument) and don't seem to be listening very well to others I'm simply going to say to please look up some basic Physics before you post anything like this topic again. This is probably overdue: thread closed.